One U.S. service member was killed and several more were injured when their aircraft crashed in Iraq Sunday. The helicopter crashed late at night while conducting a partnered counterterrorism mission in support of the Operation Inherent Resolve coalition to defeat the Islamic State, according to a U.S. Central Command statement Monday morning. All personnel were recovered by coalition forces immediately following the incident, and three individuals were evacuated for further treatment. There are no indications the crash was caused by hostile fire, officials said. However, the incident is still under investigation, according to the CENTCOM announcement. “All personnel were recovered by coalition forces immediately following the incident, and three were evacuated for further treatment. We are conducting recovery operations and are in close communication and coordination with our Iraqi partners. There are no indications the crash was caused by hostile fire. The incident is under investigation." The name and other details regarding the one deceased service member will be released after the next of kin has been notified, according to the CENTCOM. This is the second time this year an aircraft has crashed while supporting the Inherent Resolve mission in Iraq. 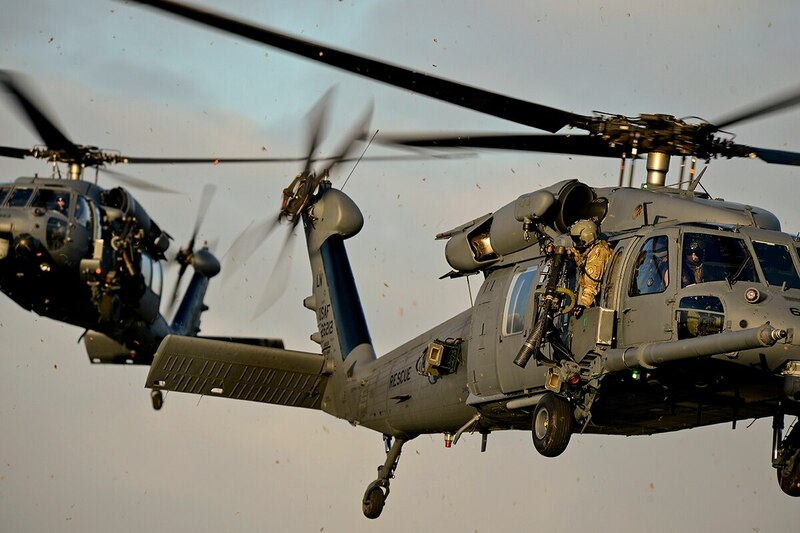 In March, all personnel aboard a U.S. HH-60 Pave Hawk helicopter were killed in a crash. That incident occurred after the aircraft hit power lines in western Iraq’s Anbar province. This latest crash comes as the U.S.-led coalition reports that it is close to defeating the last remnants of the Islamic State militant group. Inherent Resolve forces have been focused on clearing ISIS fighters from the Middle Euphrates River Valley, one of the group’s last major holdouts, since May.